My Torchlight app, 2 days to develop, 22 days to approve! My torchlight app is finally released! 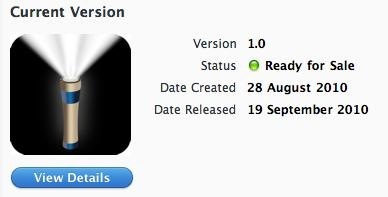 It took me 2 days to develop (with most of the time dealing with the graphics), but it took Apple 22 days to review and approve! It seems like I always have no luck with Apple review process.